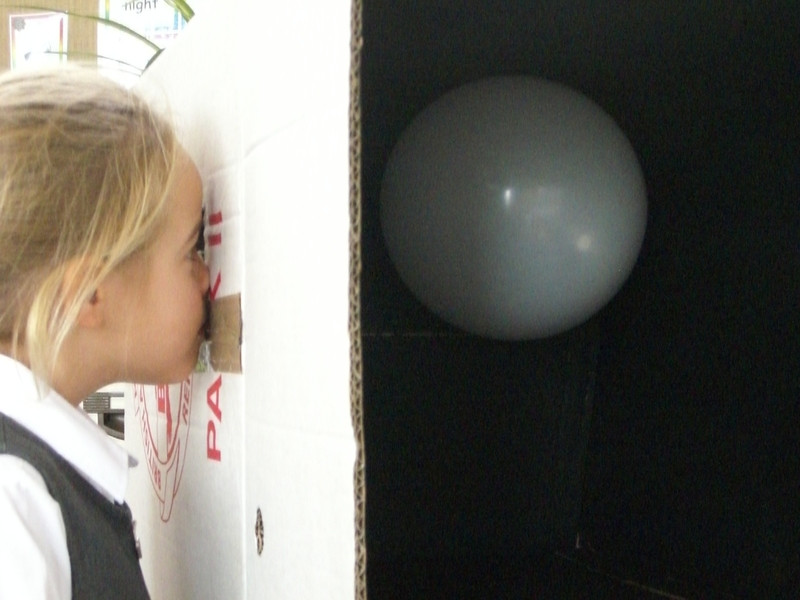 “Moon Box” – understanding light and dark. Making art is an exploratory process and it is a tool for investigating the world around us – it is not merely making pretty pictures. The sequence goes: I look; I become curious; I want to know more. Recording what we see, rather than what we think is there, reveals the detail of structures and systems and prompts us to question why things look the way they do. En-quire: action-research programme exploring the special learning benefits to young people of working with contemporary art and gallery spaces. 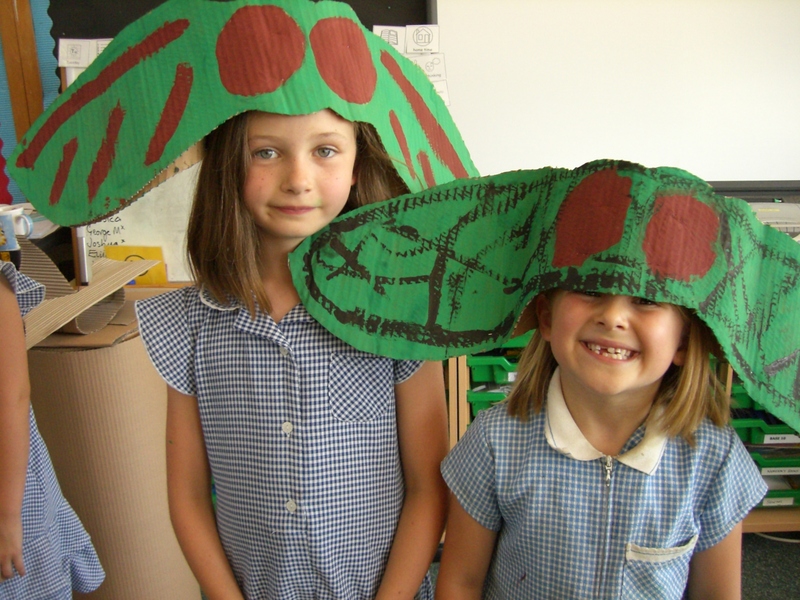 Creative Partnerships: the creative learning programme in which set up collaborations between teachers and creative practitioners. Gifted & Talented: tailored learning programmes to stretch high-ability students, in primary and secondary schools. I have built a strong reputation for my work and as a result, have been involved in tutoring and lecturing on my approach. (See Lecturing/CPD etc). As an artist in school, I want to work with the young people and teachers to really engage with ideas and information, not just provide a wow-factor for a day. It is all about tailoring projects to the specific needs of the participants, reverse-engineering skills and information to find new ways of presenting them to improve understanding. Building cross–curricular connections into a learning journey wherever possible. 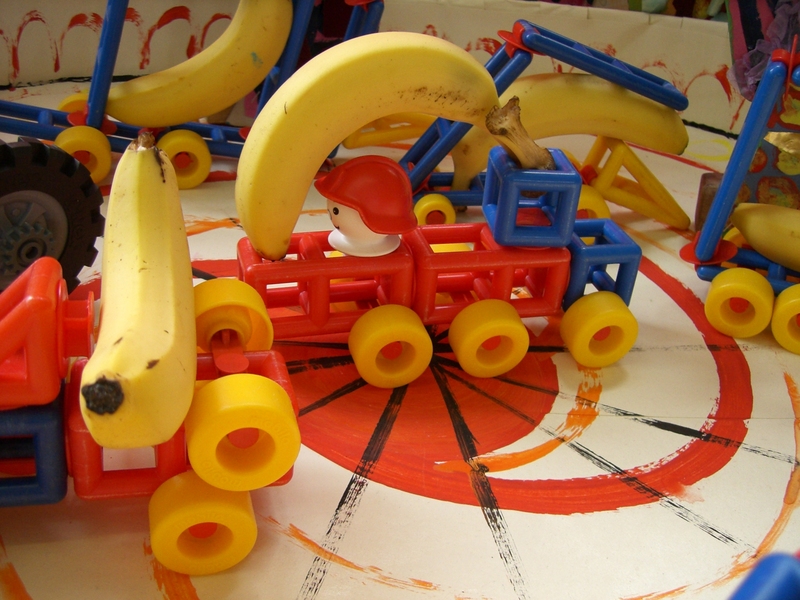 Motor skills and intellectual skills development such as wood-working and lateral thinking. Strong focus on kinaesthetic learning. 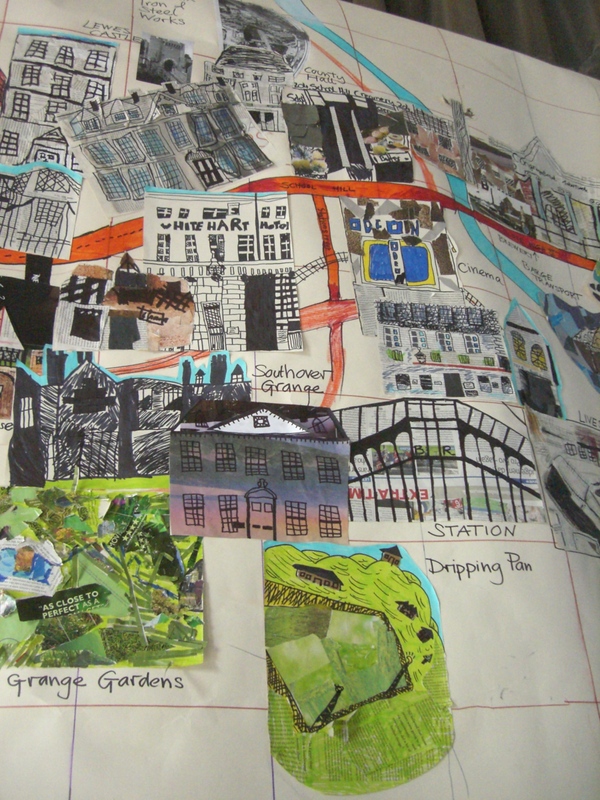 Combining as many types of creative process within the project as are relevant (eg from drawing and modelling to gardening and performance) to show that they are all part of learning. Consolidating understanding of new ideas/information by making imaginative artwork. Making opportunities for outdoor learning wherever possible. Below is a selection of projects which illustrate the breadth of topics I have worked with. A project with Year 2s to find ways of making a rather ‘dry’ science topic engaging and relevant to the children’s lives and interests. The project was focused on making science very “hands-on”, drawing on everyday experiences to show and question why the world around us works the way it does. Incorporating as many hard and soft skills development for the year group into their science topic as possible, including literacy (vocabulary development and poetry), gym, problem solving, collaborative working, folding, cutting, painting, repeating patterns, framing questions, performance. Development of a solid understanding of gravity and its effects. Use of the metaphor of “circus” as an illustration of the dynamics of forces in action. The scientific exploration was experienced as a series of circus events. Circus imagery and colour was used for all the creative activities, including making models clowns performing pushes and pulls in a model circus ring. 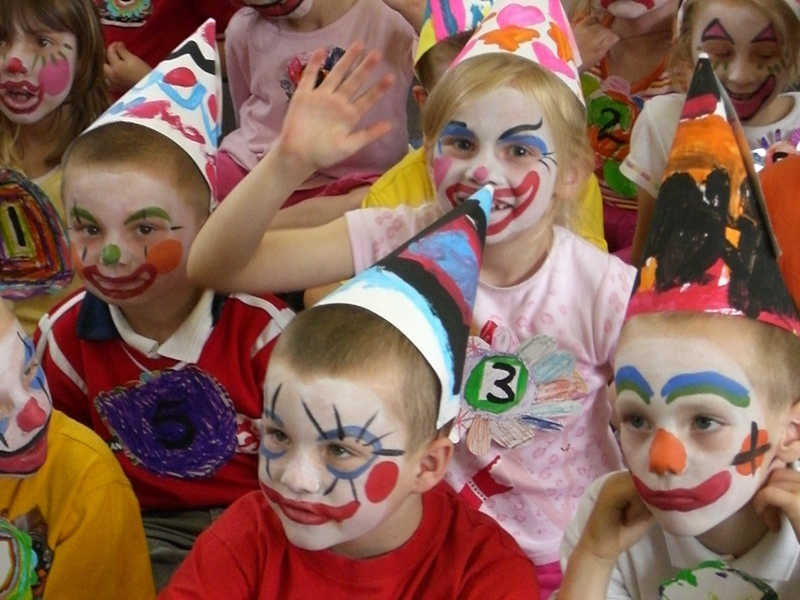 Final performance, developed in collaboration with the children, in which they presented their new scientific knowledge, in clowning routines and poetry. The success of this project has led to it being reprised, in various forms, in a number of schools. A project with three class groups of Year 2s, to create enthusiasm for science and in particular the subject of plant development. As well as wanting to provoke curiosity, the project was designed to enhance speaking and listening skills. Examining why flowers exist: dissecting flowers and carefully drawing and labeling all the intriguing structures that are visible within them. 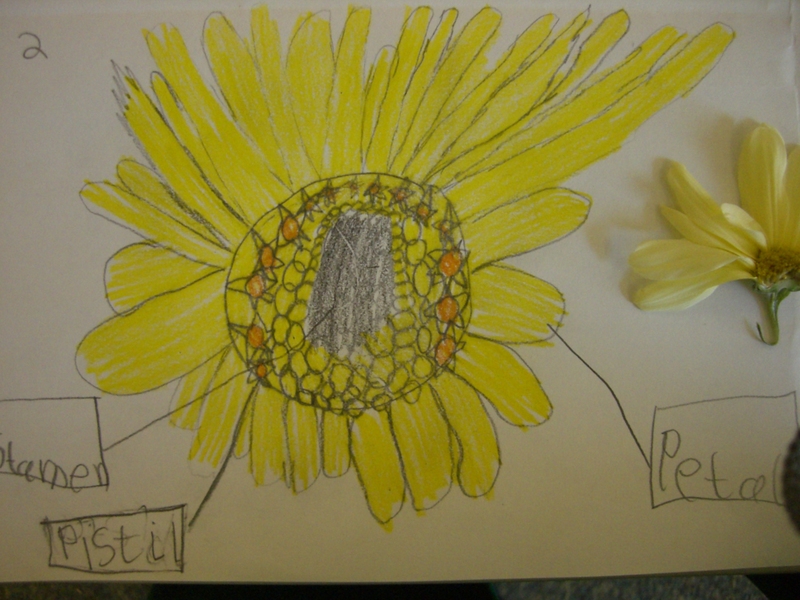 Consolidating their understanding of a flower by inventing their own, which incorporated imaginative versions of the real structures within a plant. Collaborative writing of a performance script expressing the life-cycle of plants, each class taking a different phase: germination and leaf growth; flowers and seed development; seed dispersal. Making and painting props for their final 3-act performance. 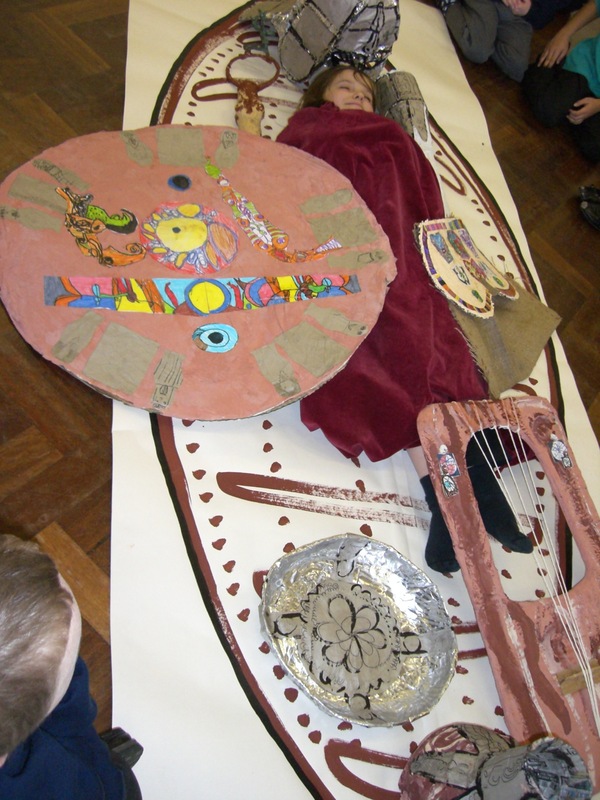 Creative curriculum development with three class groups of Year 3s, exploring “Invaders and Settlers”: Romans, Vikings and Anglo-Saxons, as a springboard for understanding the development of our national culture. Research into many aspects of these societies, including their language, customs, architecture, and the form of, and meaning behind, their respective iconography. Investigation of construction techniques in everyday objects, for example the evolution of wheel construction. Replicating these ideas in cardboard to product artifacts that are load-bearing and fully functioning. Collaborative working (in small teams) to construct full scale sculptures of relevant artifacts, such as a working, Roman chariot, a Viking throne and the Sutton Hoo grave goods. These become centre-pieces for events to showcase the learning. A long-term project to develop the school’s nature garden into an environment which encouraged more active scientific enquiry. All the work arose from exploring of the full gamut of the science curriculum in the classroom, which led on to both practical and imaginative activities outdoors. Designing, building and landscaping was carried out in collaboration with the whole school community, ranging from Reception to Year 6. As well as injecting enthusiasm for science, other objectives behind the project were to see how outdoor learning encouraged engagement and improved behaviour; and to see how active, kinesthetic experiences improve retention of information. The design and construction, with the Year 5 and 6 children, of a standing stone circle which is also an accurately aligned, giant compass. 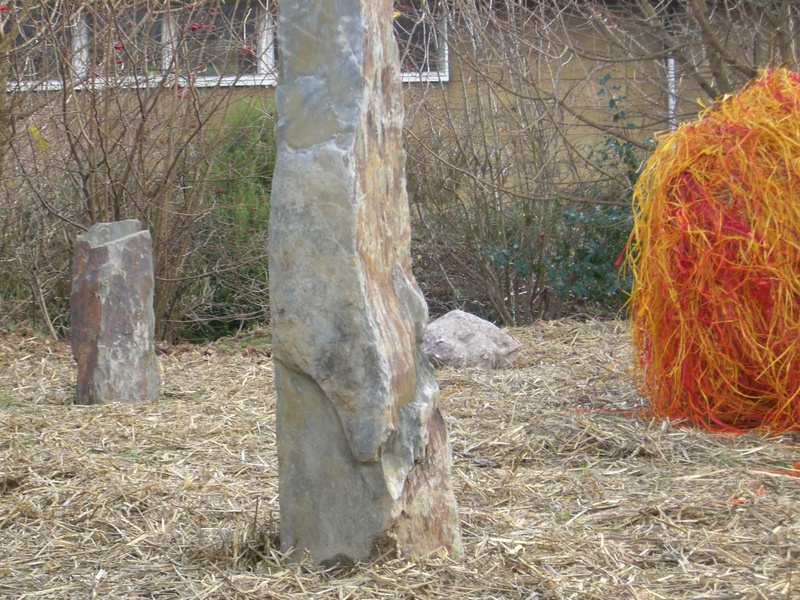 This compass, at the centre of the garden, symbolically fixed the school as the centre of the children’s world, to which all points of the globe connect, as well as bringing a magical, story-telling space and performance arena into the school environment. Teaching the all the Year 1s basic woodworking skills: accurate measuring, sawing, sanding and using a screwdriver. They used these skills to make 2m-high plant supports for their vegetable beds, which acted as growth measuring sticks and were topped with windmills made from plastic bottles, to check the direction of the wind. The design, digging and eventually planting of an apothecary’s garden, by Years 1, 2 and 5. In the course of the project I taught children how to make natural medicines from plants (which are now growing in the garden for future year-groups to experiment with) and balms from bees wax. We also explored the healing properties of everyday foods to encourage an interest in how fresh foods maintain health. 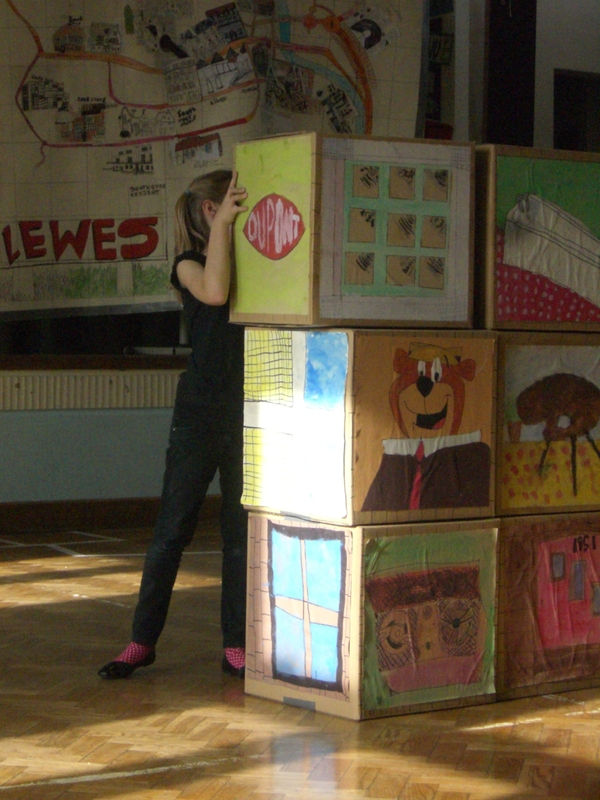 Box house and giant map. Cardboard and paper. 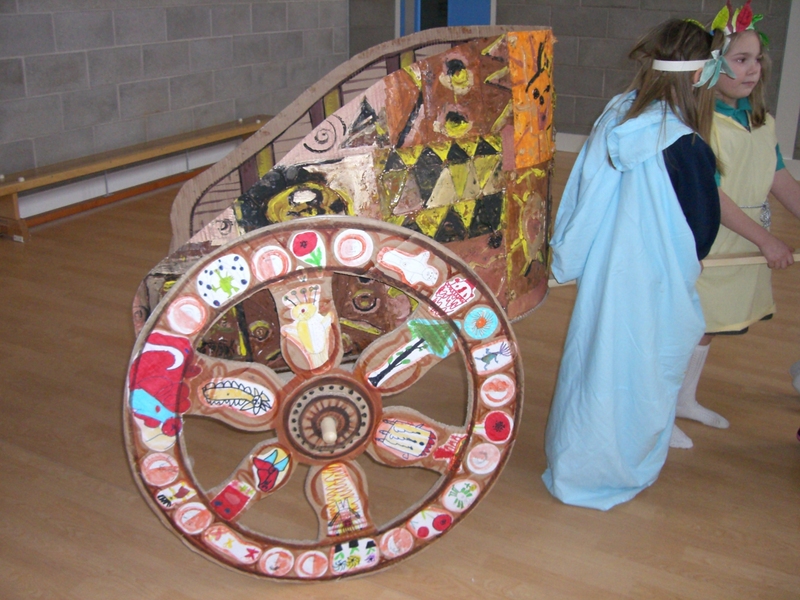 Local history project in Lewes, East Sussex, in collaboration with playwright, Sara Clifford of Inroads Productions, working with 70 children from Wallands School, Lewes. Starting from the fabulous collection of documents and photographs in the East Sussex Record Office, we worked with the children over two terms, to explore the history of the school’s site: from being open farmland for centuries, the location of a fever hospital and then the building of the school in the 50’s. In parallel, we examined what life would have been like in Lewes in the 50’s, in comparison with the children’s contemporary experiences. The outcome was a play in verse, performed amongst 3D drawing environments, and collaged maps. The Record Office has permanently accessioned the script and artwork.